Acclaimed novelist and academic J M Coetzee migrated from South Africa to Australia in 2002 and became an Australian citizen in 2006. 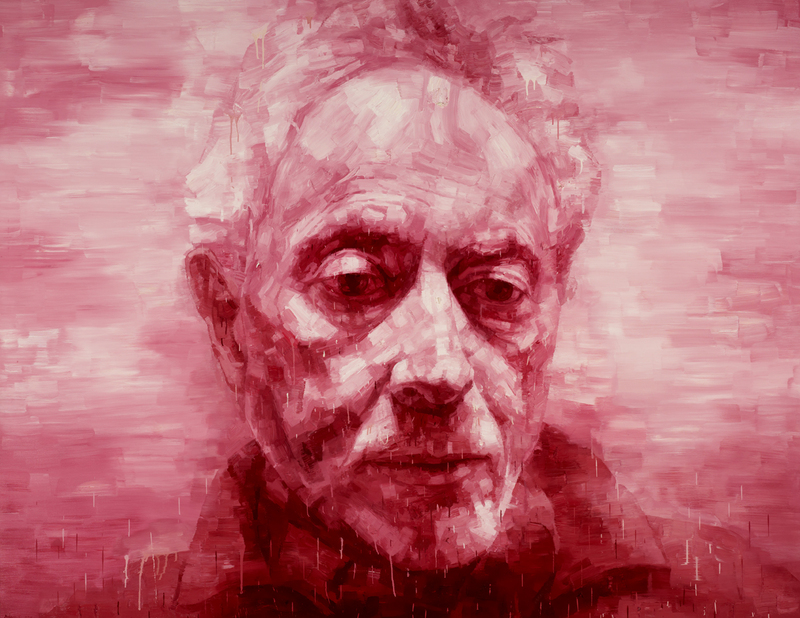 Currently an Honorary Visiting Research Fellow in the English department at the University of Adelaide, Coetzee was awarded the 2003 Nobel Prize in Literature and has the rare distinction of winning the Man Booker Prize twice, in 1983 for Life & times of Michael K and in 1999 for Disgrace. Coetzee and Adam Chang are both supporters of Voiceless, the independent non-profit organisation dedicated to alleviating the suffering of animals in Australia. They hold similar values concerning the protection of animals and are also united by their spirit of compassion and kindness towards their fellow human beings. While Coetzee is a very private person, Chang was fortunate to enjoy an afternoon with him in Adelaide and found that his eyes reveal a deep serenity and an insight into the human condition, qualities the artist has attempted to capture in this portrait. In contrast, the strong red brush strokes act as a powerful symbol of both artist and subject’s sensitivity to, and experience of, the violence and discrimination that exist in our world.